iDevices, a company that makes many leading iPhone connected household products is selling its iGrill and Kitchen Thermometer brands to Weber, manufacturer of the eponymous outdoor barbecues and grilling accessories brand. The two product lines include Bluetooth, smartphone-controlled thermometer, grilling, and cooking accessories and companion apps. Weber is acquiring the brands and planning to release new version of the product later this year. The iDevices Kitchen Thermometer products are probe cooking thermometers that can be monitored from both an iPhone and the hardware itself and range from $US20-$US80, while the iGrill is a similar product but made specifically for grilling. New versions of the products are planned for the second half of this year, and will likely include Weber branding to take advantage of the company’s 60 year history of selling grills and accessories. iDevices will partner with Weber to release the next generation of the iGrill app which is expected to be available in Spring 2016. 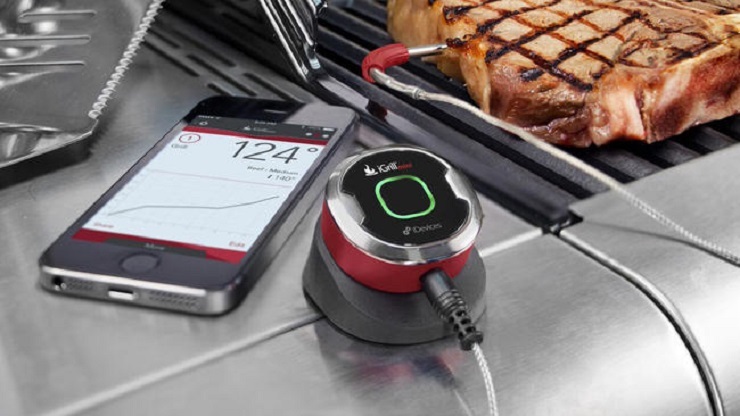 Until then, iGrill and Kitchen Thermometer users will be able to continue using their product through the iDevices Connected app. CEO and founder of iDevices, Chris Allen said, “I would like to take this opportunity to thank our customers for their support through the years. It’s because of them and the tremendous team here at iDevices that we have gotten to this point. As we go forward, I can think of no better home for iGrill than with the Weber family of products. This is just the first natural step in what we know will be a long and productive partnership. For now the company is continuing to sell the iGrill and Kitchen Thermometer products until Weber takes over.